Washington, DC – Today the Postal Regulatory Commission issued Orders and 4876 approving the Postal Service’s planned rate adjustments for both Market Dominant products and Competitive products respectively. Rate increases for Market Dominant products must meet certain statutory and regulatory requirements, the most prominent of which is that such increases be no greater than the rate of inflation, as determined by the Consumer Price Index for All Urban Consumers. Conversely, the Postal Accountability and Enhancement Act requires, among other things, that rates for Competitive products must produce sufficient revenues to ensure they are not subsidized by Market Dominant products. 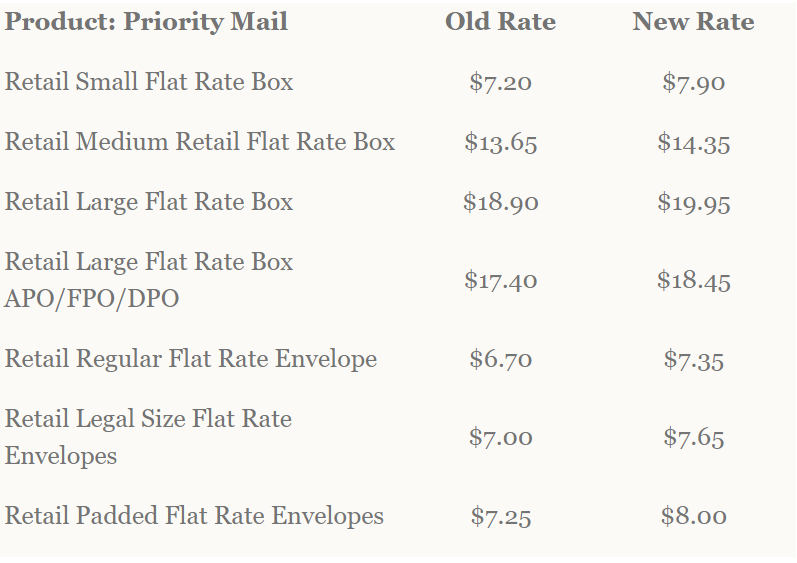 The Commission found that the rates for both classes of mail meet all statutory requirements and may take effect, January 27, 2019, as planned. The Commission also found that the planned classification changes, with the revisions set forth in Orders 4875 and 4876, are consistent with applicable law.